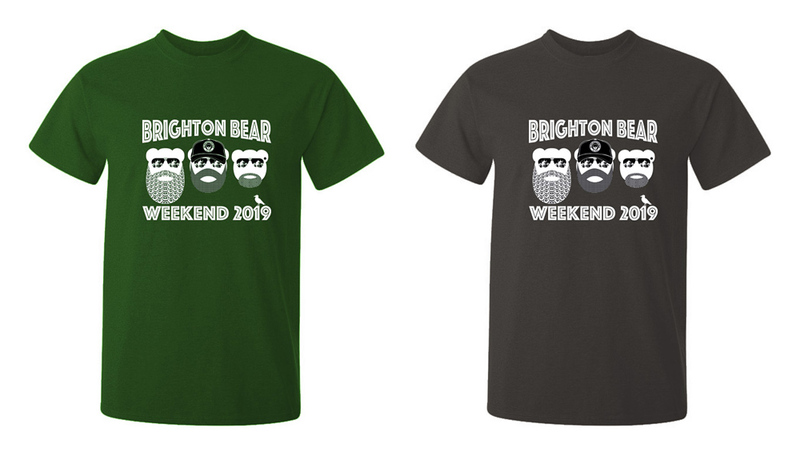 We are pleased to announce two new Brighton Bear Weekend 2019 t-shirt colours on sale from today: forest green and gunmetal grey (in addition to our existing red and navy blue designs). Our t-shirts are still only £14, with free local pickup or £3 postal delivery. Wristbands are also on sale in our online shop now! Brighton Bear Weekend 2019 event tickets are now on sale!